Maybe to overcome the previous losses but definitely to keep itself in market, at the 2015 Goodwood Festival of Speed ​​lotus Introduced its remarkable Lotus Eleven 3 2016. The model is coming with Both track and street variants and is Housed with Numerous Features. 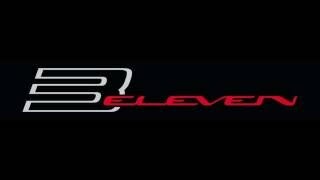 Let us have a look at the review of Lotus Eleven 3 in 2016 to know more about it. 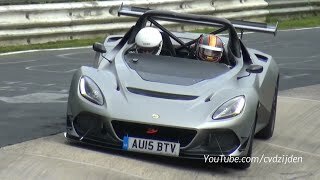 The exterior of 3 Lotus Eleven 2016 might remind you the predecessor through its light and small sports car looks. Starting with the front fascia the headlamps and the bumper intakes are designed pretty much similar to the Exige models. Moving further, to break the lap company has integrated a comparatively massive splitter and redesigned fenders while the windscreen too gets a longer stance. Moving towards the rear fascia you'll notice circular taillights while the bumper gets a new shape and gets Accompanied by the dual-piece diffuser. 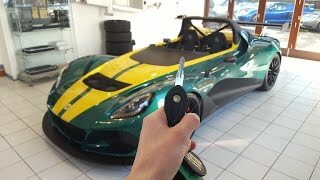 In all rounding up the exterior details of Lotus Eleven 3 2016 I would say, though it has resemblances but still it looks beautiful. 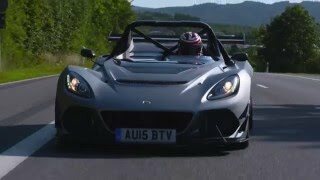 Beneath the hood of Lotus 3 Eleven 2016 is a powerful 3.5-liter V6 engine cranking total output of 454 hp and peak torque of 450 nm. 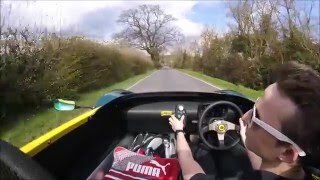 With this power rumbling the vehicle, the top speed of Lotus 3 Eleven 2016 Reaches the mark of 174 mph for The Race version while the road version can reach 180 mph. The 0-62 mph sprint in just 3.1 Can Be Knocked seconds.